With more than 300 million monthly active users, Instagram has seized its place among the top social channels in quite a short span of time. Apart from being an image-friendly app that allows a user to upload unlimited pictures, this social app has become the center of attraction for hundreds of businesses from all over the world. 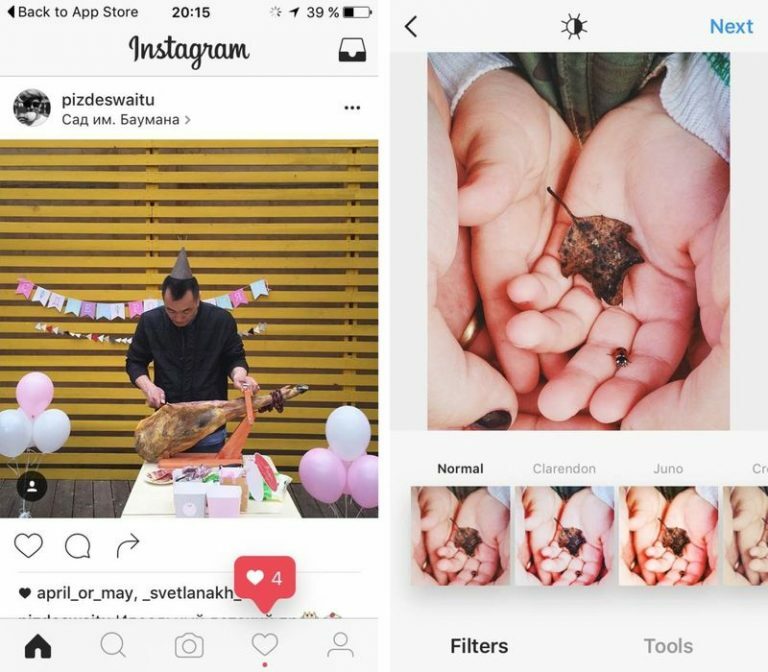 But, what’s more interesting is the news that Instagram is about to test a little bit of changes in its design. After having a look at this new screenshot, changes can be identified very easily. It shows that Instagram is moving slightly away from its current blue-and-orange interface and replacing it with a flat black and white design. As you can see in the screenshot, the camera icon has been changed from square to circle, so that it can look exactly like a real camera. Moreover, the notification feed is getting highlighted by a heart. The overall design is giving an extraordinarily decent look, but it’s still not confirmed that whether the Instagram officials will rollout all the changes or not. However, we are pretty sure that the new design will bring more maturity and stability to the interface.